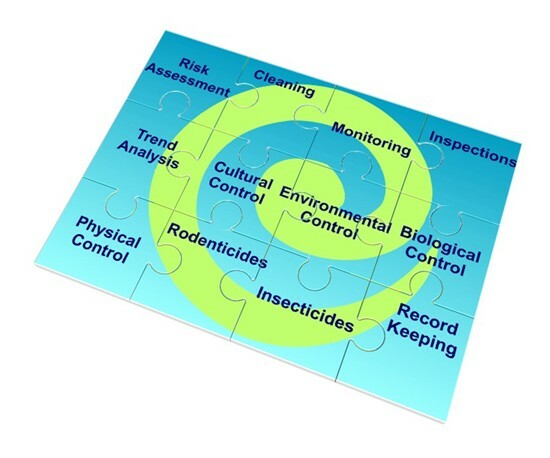 Integrated Pest Management (IPM) is an approach to solving pest problems by using a combination of strategies to minimise the risk of a pest infestation, minimise the use of pesticide treatments and ultimately lead to a better understanding of the infestation so that it can be prevented from occurring in the future. Like a jigsaw puzzle all the pieces need to be fitted together to give the complete solution. Genus has identified 12 pieces to the puzzle. The pieces can be divided into three groups: Prevention, Monitoring and Control. A successful IPM programme is dependant on there being a strong partnership between client and contractor. By working together the puzzle can be solved to the benefit of your business. Call us today on 0800 100 399 or contact us for more information.